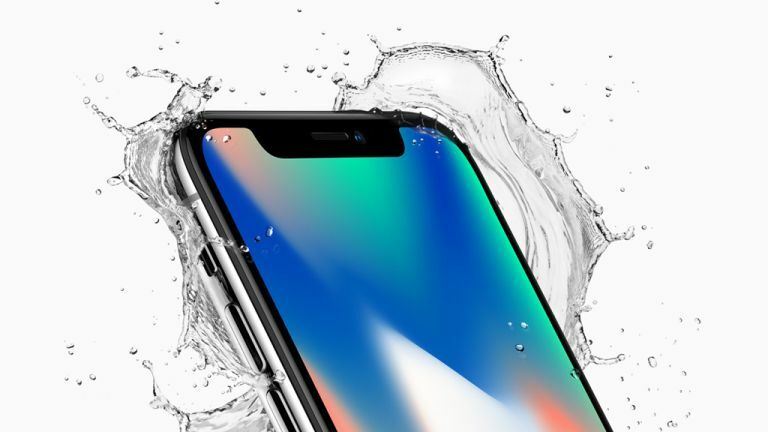 Could Apple’s 2018 iPhone XL be a Samsung Note 9 killer? The Samsung Galaxy Note is unusual, because it doesn’t have a serious rival. Nobody’s managed to replicate the special sauce that makes the Note so good. Or at least, nobody has yet. Could Apple beat Samsung at its own game? Is this the Samsung Galaxy Note 9 you would buy? The iPhone 8 Plus is the closest current Note alternative, but it’s smaller, it lacks OLED, there’s no S-Pen and its low light shots aren’t as good. But what if Apple took everything good about the iPhone X, put it in the Plus and made the Plus even Plus-ier? Because that’s what it is rumoured to be doing in 2018 with an iPhone XL. Would an iPhone XL be a Galaxy Note 9 killer? Apple does OLED now so that’s a given, and the iPhone XL is rumored to have a whopping 6.5-inch edge to edge display. That’s slightly bigger than the Samsung’s expected 6.3 inches. Like it or loathe it, if you buy a 2018 iPhone you’re going to get The Notch. Where the Note enables you to run apps side by side, iOS only does that on the iPad. On screens smaller than six inches that’s sensible enough. But if we’re looking at a 6.5-inch display there’s a strong case for Slide Over and Split View. There’s a precedent for this: Plus versions of the iPhone have a Landscape mode, with some apps such as Mail changing to a two-pane interface. Don’t expect a home button on the 2018 iPhone XL: FaceID is where Apple’s at now. While Samsung has been using facial recognition the mainstay of the Note 9 is likely to be fingerprint scanning. Multiple rumors suggest that for the Note 9, the fingerprint scanner will be embedded in the screen – although other sources say it won’t be ready in time and will appear in the Note X. The iPhone XL will have the A12, the successor to the A11 Bionic processor, and Samsung will use its newest Exynos. Leaked Note 9 benchmarks give the Note 2,190 in Single Core and 8,806 in Multi-Core on Geekbench. That’s impressive, but it’s still behind the iPhone X: while we’d expect the Samsung to score higher once it’s been optimised (and for the Exynos chipsets to score better; the leak appears to be a Snapdragon version), Apple’s going to be optimising its iPhones, too. The Note 8 got a whopping 6GB of RAM while the iPhone X makes do with 3GB. However, as with processors Apple benefits from owning the operating system as well as the hardware, so it can optimise things in a way Android firms can’t. If the 2018 iPhone XL gets more RAM it won’t be much more. As ever, don’t expect a microSD slot in any 2018 iPhone. But maybe we can hope for more generous iCloud allowances now Apple’s upped the free tier from 5GB to 200GB for schools. The Note 8 has the edge over the iPhone X: its variable aperture can be as wide as f/1.5, which is exceptionally handy for low light shooting. There’s a noticeable difference in quality between that and Apple’s f/1.8: Samsung shots are brighter and less noisy, although the difference isn’t as obvious when you’re shooting video. The last big step in brightness was when Apple improved its aperture from f/2.2 to f/1.8. We’d expect another shift with the XL, alongside an improved version of the front facing camera from the iPhone X. Portrait Lighting in selfies is a killer feature. “If you see a stylus, they blew it,” Steve Jobs once said. Not so fast, Steve: Apple just brought the Apple Pencil to non-pro iPads. Could its next step be the previously unthinkable, a stylus-supporting iPhone? Could the iPhone XL be the Galaxy Note 9 killer? A lot can happen between now and the expected release dates of Summer for the Note 9 and Fall for the new iPhone. But two things are certain. Both devices will be absolutely incredible. What should you expect to pay? The Note 8 was $930 / £870, the iPhone X is $999 / £999 and their successors are likely to cost even more. While we wait for the launch of both these handsets, why not check out our rundown of the best smartphones available to buy right now?